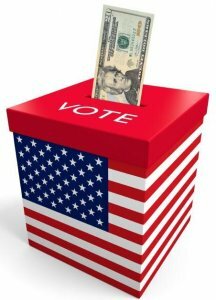 The US House this month passed major election reform legislation that calls for sweeping changes to our country's campaign finance and electoral systems, delivering on Democrats' midterm election promise to clean up corruption and dark money in politics. 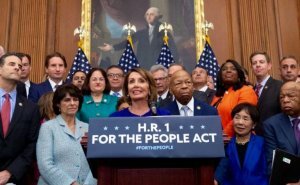 H.R.1 or The For The People Act "will fight back against corruption in Washington, establish clean and fair elections, end the dominance of big money in our politics and ensure the right to vote." Democrats wasted no time, introducing the reform package a week after the 116th Congress was sworn in, and designating it as Bill #1, usually reserved for the top legislative priority of the majority party. Speaker Pelosi: "H.R.1 restores the people's faith that government works for the public interest, the people's interests, not the special interests." H.R.1, which passed 234-193 along party-lines on March 8th, is divided into three sections: Voting, Campaign Finance and Ethics. * Enable national automatic voter registration. * Promote early voting, same-day voter registration, and online voter registration. * Make Election Day a holiday for federal employees. * End partisan gerrymandering in federal elections by establishing independent redistricting commissions. * Prohibit voter roll purging. * Require states to upgrade and secure their election systems. * Restore voting rights to those with past criminal convictions. * Call for statehood for the District of Columbia. * Establish voluntary public campaign financing with small-donor matching program. * Establish public financing fund from a 2.75% fee on criminal and civil fines, penalties, or settlements with banks and corporations that commit corporate malfeasance. * Pass the Disclosure Act, which would require Super PACs and "dark money" political organizations to make their donors public. * Pass the Honest Ads Act, which would require Facebook and Twitter to disclose the amount and source of money for political ads on their platforms. * Disclose any political spending by government contractors. * Limit and disclosure certain donations to, and disbursements by, inaugural committees. * Restructure the Federal Election Commission to have five commissioners instead of six, to break political gridlock. constitutional amendment to overturn the 2010 US Supreme Court decision in Citizens United, which took the caps off limits on corporate and union political spending. * Require the President and Vice President to release 10 years of his or her tax returns, and to disclose and divest from business holdings that may create a conflict of interest. * Mandate presidential and vice presidential candidates to do the same. * Give the Office of Government Ethics more enforcement power to implement stricter lobbying registration requirements, including more oversight of foreign agents. * Prevent corporate political spending without input and consent from shareholders. * Stop use of taxpayer money to settle sexual harassment or discrimination cases against members of Congress. * Create a new ethical code for the US Supreme Court, ensuring all branches of government are impacted by the new law. The broad reform package, however, is considered more of a wish list for an ambitious agenda -- one that will be dead on arrival in the US Senate. Senate Majority Leader Mitch McConnell (R-KY), who calls the The For The People Act the "Democrat Politician Protection Act," declared he would not put the bill to a vote on the Senate floor, "because I get to decide what we vote on." The fight for campaign and ethics reform, however, is likely to continue on the 2020 presidential batteground, and is far from finished. As is often the case, efforts to repair our political system will have to be decided at the ballot box.